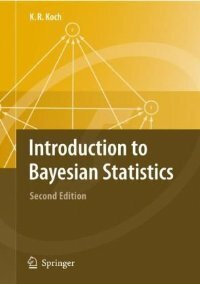 The Introduction to Bayesian Statistics (2nd Edition) presents Bayes’ theorem, the estimation of unknown parameters, the determination of confidence regions and the derivation of tests of hypotheses for the unknown parameters, in a manner that is simple, intuitive and easy to comprehend. The methods are applied to linear models, in models for a robust estimation, for prediction and filtering and in models for estimating variance components and covariance components. Regularization of inverse problems and pattern recognition are also covered while Bayesian networks serve for reaching decisions in systems with uncertainties. If analytical solutions cannot be derived, numerical algorithms are presented such as the Monte Carlo integration and Markov Chain Monte Carlo methods.